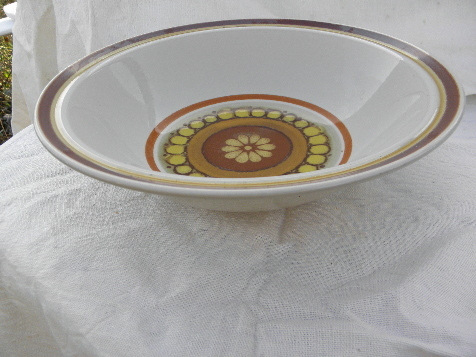 Vintage &apos;Valencia&apos; pattern pottery serving bowl, Royal Prestige stoneware, made in Japan. 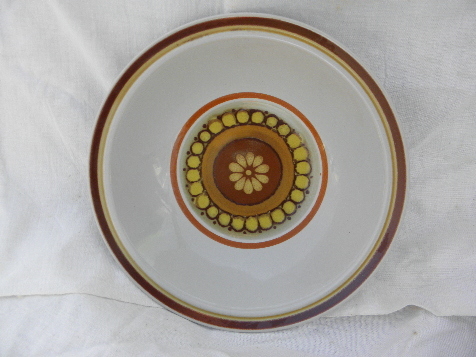 This is 9 3/4" in diameter across the bowl rim. It&apos;s in excellent condition, no damage or signs of use.